> News > Announcement of the Ministry of Finance of the Republic of Cyprus. Convention for the Avoidance of Double Taxation and the prevention of fiscal evasion with respect on taxes on income between the Government of the United Kingdom of Great Britain and Northern Ireland and the Government of the Republic of Cyprus. Cyprus and UK in an effort to further develop their economic relationship and to enhance their cooperation in tax matters have agreed to conclude a Convention for the elimination of double taxation with respect to taxes on income and capital gains without creating opportunities for non-taxation or reduced taxation through evasion or avoidance. 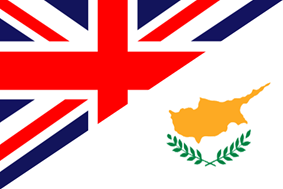 First UK/Cyprus Double Taxation Agreement was signed on 20th June 1974, entered into force on 1st November 1974 and has been amended by a protocol signed on 2nd April 1980. 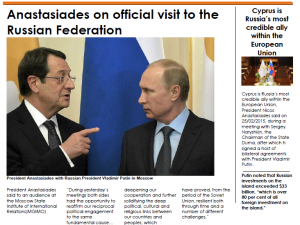 Last Convention was signed on 22nd March 2018 in Nicosia, and will enter into force when both countries have completed their legislative procedures and exchanged diplomatic notes. In brief, last Convention includes the minimum standards of actions on base erosion and profit shifting regarding bilateral treaties- treaty abuse, and making dispute resolution mechanisms more effective. It also includes provisions for the exchange of bank and other information in line with the same model.